[By Nick] It's October 1st which to me means it's officially apple picking season! Oh how I love living in Upstate, NY with all of our apple orchards. If you've never bitten into a freshly picked apple, you haven't lived. Now while this Coolhaus sandwich can't be picked from a tree, you can pick it straight from a freezer near you like I did at the Niskayuna Co-op. 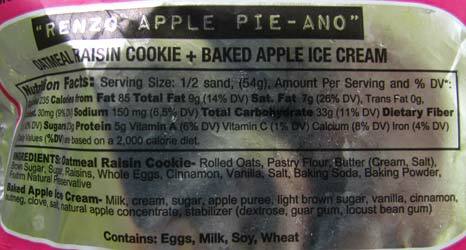 Like I said in my Stewart's review, apples are under appreciated in the ice cream world. I wish there was far more apple flavors out there. I mean the fact that there's no mainstream seasonal apple cider doughnut ice cream is an outrage. 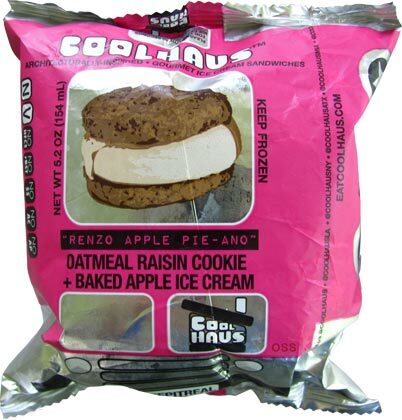 Thankfully Coolhaus offers a legitimate apple option year round. 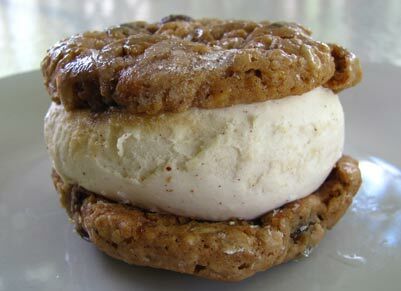 First off, Coolhaus cookies will always be sheer perfection. I will never understand how they keep them so dang soft. It's sorcery for sure. These cookies taste like any old oatmeal raisin cookie which is a good thing to me. I love oatmeal raisin cookies and these are definitely up to par with me. The raisins are remarkably juicy and the spices are perfectly balanced. The ice cream is what makes this ice cream special though. The name is a dead on representation of the flavor. If you've ever baked an apple in the oven and sprinkled it with cinnamon, then you know exactly how this ice cream taste. This is basically the cold version and it's brilliant. Seriously, this sandwich blew me away as a whole. It's the ultimate fall comfort treat in my book. While it doesn't top their bacon ice cream sandwich, this one is a close second. 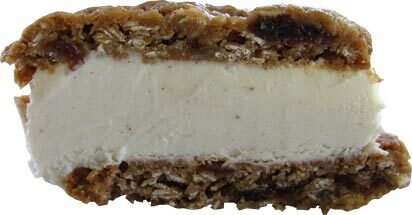 If you're looking for a fall novelty all year round, this ice cream sandwich is for you.